Washington, DC is a hyper-connected, always-plugged-in city. Need proof? Just take a ride on the Metro, and you’ll see crowds of commuters staring into the blue screen abyss of their smartphones. 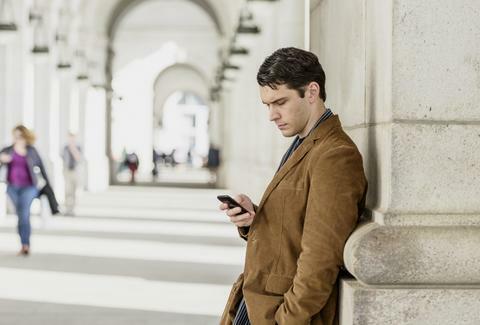 But what exactly are Washingtonians doing on their smartphones -- besides swiping right, liking artsy-fartsy Instagram feeds, and responding willy-nilly to classified emails? Well, a lot of us are using 'em to make everyday life a little bit easier. These are the apps that help you avoid outrageous Uber surcharges and deliver food, booze, and a masseuse to your door. Whether it’s transportation, eating and drinking, city services, or general lifestyle needs, there’s pretty much something for whatever you need. Here are 21 essential apps for daily life. What it does: Locates an area without Uber surge pricing. You just left a crowded concert, and you pull up Uber to find a way home. But, then the surge strikes. Instead of paying $60 for a ride across town, use SurgeProtector. It’s an app that will help find a location near you that has a lower surge rate. The app will even direct an Uber to that spot for a cheaper ride home. What it does: Crowdsources traffic, police cars taking radar, accidents, areas to avoid, etc. This is an indispensable app for anyone who drives around The Beltway. Waze connects to other drivers to help commuters avoid sitting in traffic, cluing them in to a police trap, or saving minutes off of their regular commute. What it does: Ride shares, but cheaper. So maybe Uber and Lyft are too pricey, but you still need a rideshare option that gets you from point A to point B. Consider giving Split a try. You might not get mints and a bottle of water, but you'll get a super cheap rate. The only catch is that you might have to share the ride with a stranger heading to a nearby destination. But, you can ride confident knowing that you’re supporting a local DC startup and not the behemoth bullies. What it does: Tells you when the next bus is showing up. A lot of transportation nerds swear by certain apps to avoid commuting hell. For bus riders, NextBus is an essential, and it doesn’t require a download. The app can be accessed from any browser, and its responsive, mobile-friendly design makes it easy to pull up bus time arrivals across the WMATA system. What it does: Lists times for every. single. transit option. 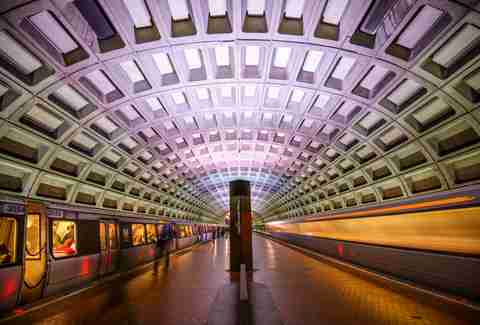 For an all-in-one look at DC commuting options, Transit App is useful. It connects riders with the variety of transportation options, including Metro, DC Circulator, MTA, Ride On, Arlington Transit, Fairfax Connector, and Virginia Railway Express options. There’s also a helpful feature that links you to Uber and car2go or the closest bike share. What it does: Refills your parking meter. DC really likes to issue out parking tickets, so avoid them at all costs with Parkmobile. This app lets you add time to the meter even when you’re not next to your car. Simply register your vehicle, locate a parking spot, and punch in the extra time to the meter’s identification number. What it does: Picks where you're gonna eat. This is another local app unique to the DC region, and it can save you bucks at some of your favorite restaurants and bars. Simply scout a general area for going out and give Spotluck’s wheel a twirl. Each spin gets you deals for discounts at an area bar or restaurant. 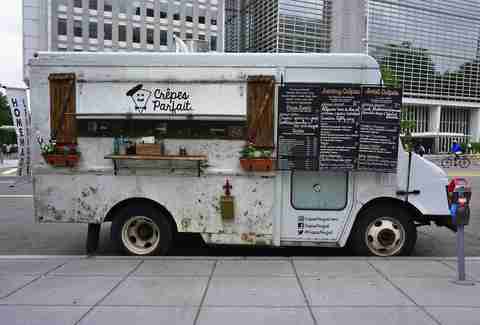 What it does: Maps your favorite food trucks. If it’s #FoodTruckFriday, then Food Truck Fiesta app is your best friend. The app is available for iPhone users and pulls up a map locating all of your favorite food trucks in real-time. What it does: Delivers your food, like, now. For the incredibly hungry and lazy, UberEats can’t be beat. It’s on-demand food delivered to your door, usually within minutes. Just be sure to order a meal that can hold up to the demands of delivery. Check their delivery area and menu options as they change daily. What it does: Books your table at the area's best restaurants. Reserve can get you inside that hot new restaurant for just a small booking fee. It’s a reservation concierge app that also lets you pre-pay for a meal, avoiding the whole “I’m paying” fight that happens after you've eaten. It’s also the easiest way to get into some of the most popular restaurants in town, including Sushi Taro, The Source, and Estadio. What it does: Delivers your booze. There are plenty of alcohol delivery services, but what sets this one apart is the selection of local booze available. With the Minibar app, brands like Green Hat, Catoctin Creek, and DC Brau can be scheduled and delivered for your next party. What it does: Promptly delivers your coffee. If you’re buried by work and in-need of a caffeine boost, there’s an on-demand coffee delivery service, called Fetch Coffee. This DC-based company prides itself on delivering steaming coffee with as many creams or sugars as you would like. It’s also the ultimate lifehack for avoiding that insanely long coffee line each morning. What it does: Organizes your concert schedule. You’ll never miss your favorite band again with the wēgo app, which helps you plan for upcoming shows and builds a network of people to go with. Use it for previewing music and buying tickets when you’re ready to go. What it does: Gives new music recommendations. People call it the Instagram for music -- that’s because it’s one of the best way to discover new songs based on recommendations from friends and followers. It was designed and developed in DC, meaning there are a number of local artists who use it to promote their music. Download Musx if you’re tired of Spotify and need an update or two to your playlist. What it does: Edits your photos with Photoshop-like quality. This photo editing app goes far beyond your standard filters and is far worth that steep price tag (for an app, at least). Enlight has what seems like an unlimited number of editing options, essentially functioning as Photoshop or Lightroom, and can easily turn a standard iPhone picture into a work of art (or just a lame meme). This is particularly useful for people who take pictures of their food to make all of their friends jealous. What it does: Explores the Smithsonian from your couch. 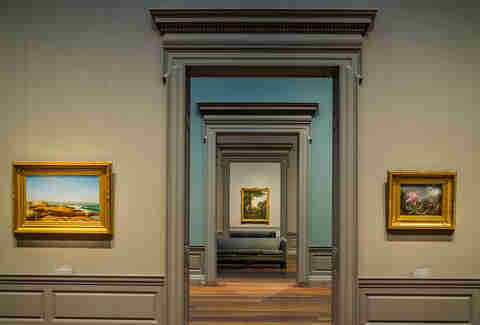 Do you want to escape to the National Gallery of Art, but don’t have the time travel to the Smithsonian? Download its Your Art app and you can find works of art by artist name, nationality, theme, or museum location. What it does: Delivers personalized bouquets on the cheap. This is a DC startup that puts a personal touch (a handwritten note!) on flower delivery for as low as $35 with no delivery fee. The best part: when your flowers reach their destination, UrbanStems sends you a picture to confirm that the drop off happened. What it does: Surveys your friends/employees/whomever. Tired of the ‘reply all’ email chain? (We all are.) Whether you're planning a night out or trying to get a pulse check on your organization, oVote is there to help. Developed by a local startup, it's designed to ask simple questions through push notification polling. It's also the easiest way to find out if your friends should meet up for happy hour at: A) The Brixton, B) Nelly’s, C) Dacha, or D) None of the above. And there’s another way to use it at work -- oVote is also being implemented in broadcasting, HR, and education for tallying feedback and votes. What it does: Picks up, drops off, and does your laundry for you. When the laundry pile is starting to take up your entire bedroom floor, Washio can step in to offer assistance. 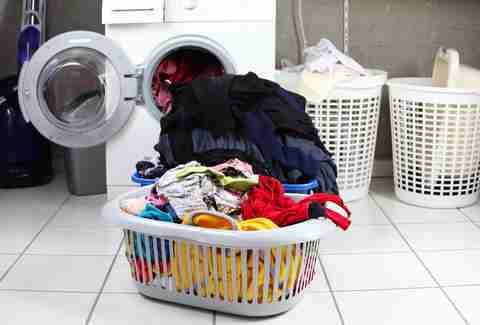 This is a service that will gladly accept your dirty laundry. Just set up a pick-up time and Washio will bag your laundry and return it freshly folded. Pricing is determined by weight or clothing type and dry cleaning options are also available. What it does: Takes care of your odd jobs. This DC-based startup is here to do all the work that you don’t want to. Think of SuperHandy as your go-to handyman. It provides immediate pricing on chores like housecleaning and lawn mowing, and harder to-do’s like electric, plumbing, and heating and air. What it does: Sends a pro masseuse to your doorstep. Need an in-home massage in minutes? Soothe delivers. Schedule a 60-minute, 90-minute or 120-minute massage, and a five-star masseuse will show up to your door within an hour. The price you pay is reasonable compared to what you might expect, and the service is available seven days a week, from 9am to midnight. Tim Ebner is a food, travel and lifestyle writer based in Washington, DC. There’s an app that too -- download the Thrillist app to read more of his coverage or follow him on Twitter.